You can find my research papers indexed by a full list (including supplemental software) or classified (with overlaps) by theme. The latter description contains a bit of peripheral discussion as to what my papers are about. Find out more about the Smalefest 2000 proceedings volume I co-edited with Felipe Cucker by looking at item #26 on my paper's list. 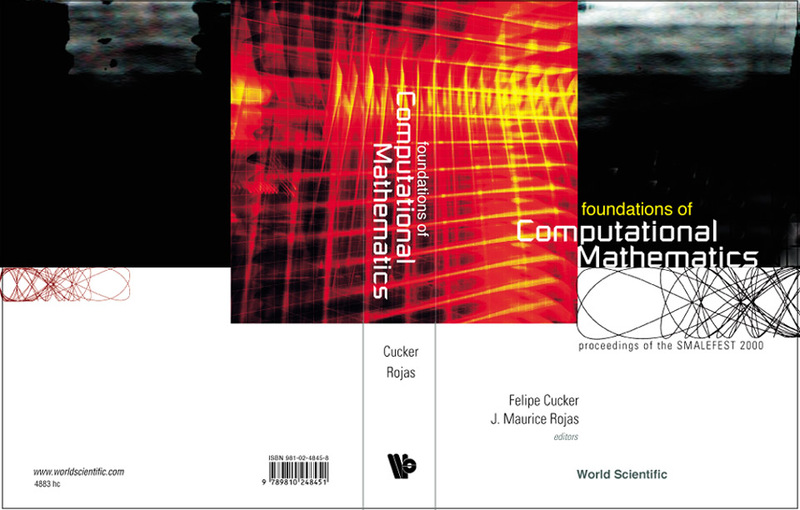 ``Arithmetic Geometry Methods for Complexity and Communication'', ($308,005, PI at Texas A&M U: Rojas) Collaborative Research (with separately funded PIs Qi Cheng at U Oklahoma, Shuhong Gao at Clemson U, and Daqing Wan at UC Irvine), NSF, CCF-1900881, 4/1/2019-3/31/2022. ``REU Site Grant: Undergraduate Research in the Mathematical Sciences and their Applications,'' ($350,000, PIs J. Maurice Rojas and Anne Shiu), NSF, DMS-1757872, 6/1/2018-5/31/2021. John von Neumann Visiting Professor, Technische Universitat Munchen, to deliver course on Algorithmic Fewnomial Theory, Oct-Nov, 2015. ``REU Site Grant: Undergraduate Research in the Mathematical Sciences and their Applications,'' ($343,408, PIs J. Maurice Rojas and Anne Shiu), NSF, DMS-1460766, 6/1/2015-5/31/2018. ``Sparse Polynomials, Complexity, and Algorithms'', ($250,000, PI at Texas A&M U: Rojas) Collaborative Research (with separately funded PIs Qi Cheng at U Oklahoma, Shuhong Gao at Clemson U, and Daqing Wan at UC Irvine), NSF, CCF-1409020, 9/1/2014-8/31/2018. ``MCS: Randomization in Algorithmic Fewnomial Theory Over Complete Fields,'' ($400,001, PI: Rojas, co-PIs: Martin Avendano, Scott Zrebiec) Mathematics/Computer Science Interface Program, NSF, DMS-0915245, 9/1/2009-8/31/2013. ``ASCR: Topology for Statistical Modeling of Petascale Data,'' (TAMU amount $214,795, co-PI: Rojas, PI: P. Pebay of Sandia National Laboratories, and other co-PIs from University of Utah), Advanced Scientific Computing Research (Mathematics for Analysis of Petascale Data), Department of Energy, DE-SC0002505, 9/1/2009-8/31/2012. 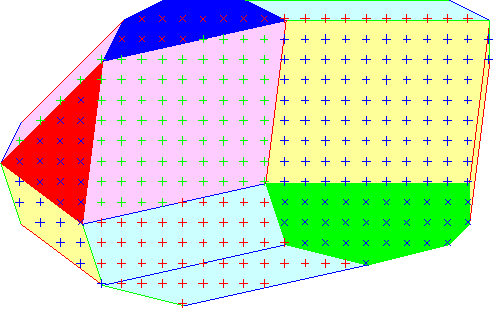 Robust Output Sensitive Algorithms for Subanalytic Geometry: NSF Grant DMS-0211458 (jointly funded by the Computational Mathematics and Algebra/Number Theory/Combinatorics programs), 2003-2005. Degeneracy Detection for Curved Solids (co-PI with John Keyser): Incubation grant DMS-0138446 from the NSF CARGO (Computational and Algorithmic Representation of Geometric Objects) program, 2002-2003. NSF grant to co-organize (with Paulo Lima-Filho and Hal Schenck) a CBMS Lecture Series Conference during May 17-24, 2002. Journal of Complexity 2000 Best Paper Award (to be awarded at FoCM 2002). Timo de Wolff (Ph.D. 2013, Goethe U in Frankfurt), co-mentored with Frank Sottile.